This NY Times article titled Insurers Fight Speech-Impairment Remedy tells the story of a 48 year old mom who has ALS and a son with Downs Syndrome. These few clips from the piece give us a glimpse into why health insurance needs to be reformed in our country. Kara Lynn has amyotrophic lateral sclerosis, or A.L.S., which has attacked the muscles around her mouth and throat, removing her ability to speak. A couple of years ago, she spent more than $8,000 to buy a computer, approved by Medicare, that turns typed words into speech that her family, friends and doctors can hear. Under government insurance requirements, the maker of the PC, which ran ordinary Microsoft Windows software, had to block any nonspeech functions, like sending e-mail or browsing the Web. Dismayed by the PC’s limitations and clunky design, Ms. Lynn turned to a $300 iPhone 3G from Apple running $150 text-to-speech software. Ms. Lynn, who is 48 and lives in Poughkeepsie, N.Y., said it worked better and let her “wear her voice” around her neck while snuggling with her 5-year-old son, Aiden, who has Down syndrome. You can see a photo of Kara and her son at the top of the article.. it is a moving photo.. more than ever it makes me want real reform in health insurance. Wow. Bureaucracy at its finest. My recently deceased mother-in-law could not maintain an adequate blood count in part because she couldn't eat or drink by mouth for about 20 years and she had a limited capacity for feeding via a tube in her abdomen. During her last two years her doctor had to prescribe a shot to maintain her blood count that she would receive weekly but Medicare would only approve blood transfusions. Another patient of the doctor had been receiving the shots and after she died the doctor gave them to my mother-in-law (they were already paid for and could not be resold). My mother-in-law's blood counts stayed fairly constant while on the shots whereas it varied a lot between transfusions. When the doses of shots ran out. The doctor tried to prescribe shots but Medicare insisted only on transfusions which were much, much more costly and were not as effective. The doctor called Medicare personally and raised hell. After a few attempts, Medicare finally agreed. From my experience working with government inspectors, they do not interpret government policy; they follow the policy to the letter, regardless. Policies and regulations are not rewritten frequently. When a better technology or methodology is found it often does not comply with the prescription of the policy/regulation. The bureaucrat is not empowered to flex away from the letter of the law while still meeting the spirit of the law. 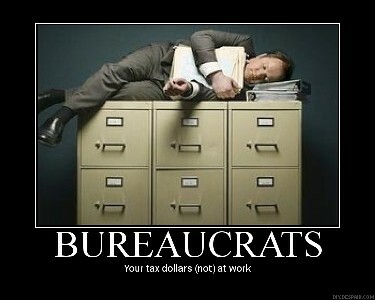 Some bureaucrats do but many do not. The government hasn't been able to write a policy that ensures that the right thing is done today without limiting the use of future, more effective, less costly options. We don't want the government to be large enough that they have the resources to reinterpret the policy for each patient if need be nor to revise the policy at such a frequency that it can stay apace of new technology and methods. So if the Iphone is cheap, then the people themselves could afford it, right? Where we get this "insurance covers 100%, no, 110% of my expenses" boggles my mind. I have friends with a SEVERELY disabled child. At 13, he weighs under 50 pounds, will never stand or walk, or talk, or even meet eyes with you. He uses various kinds of chairs and equipment; the parents are starting to need a lift to get him safely in and out of the tub. Medicaid and their insurance will only pay for clunky models that don't fit in their bathroom, and will only pay for new walkers when his height changes more than x inches, no matter whether he's worn it out, etc. My friends just pay for the extras themselves, buying on ebay, trading, bartering. The dad's out of work now and times are tougher than ever. Sometimes, friends step in to locate a used chair, or even pay for some of the extras, all babysitting is free, but NOBODY expects insurance to cover everything, that's a pipe dream. And I agree with you that "NOBODY expects insurance to cover everything".. but we do expect them to be reasonable.. did I say that.. no we really don't.. that is why we need reform in health insurance.